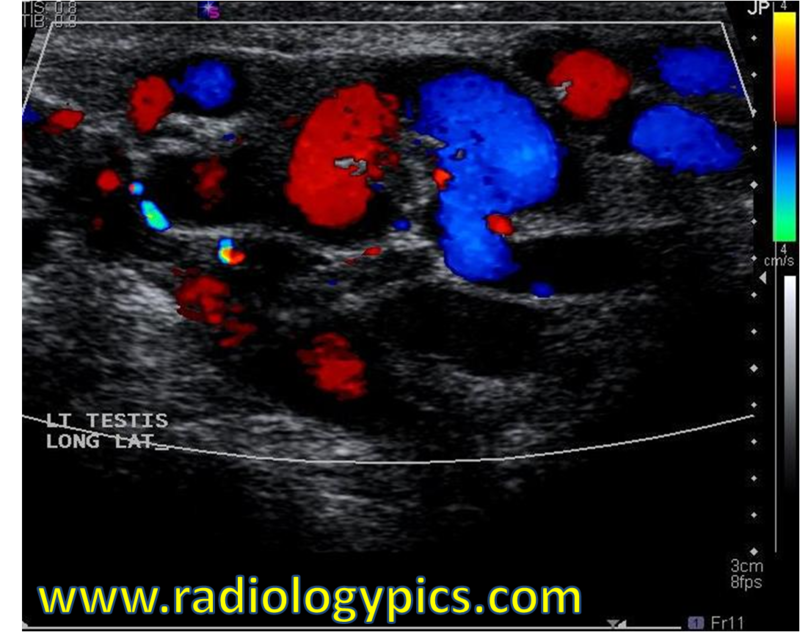 Doppler color ultrasound through the left scrotum. What are the findings? 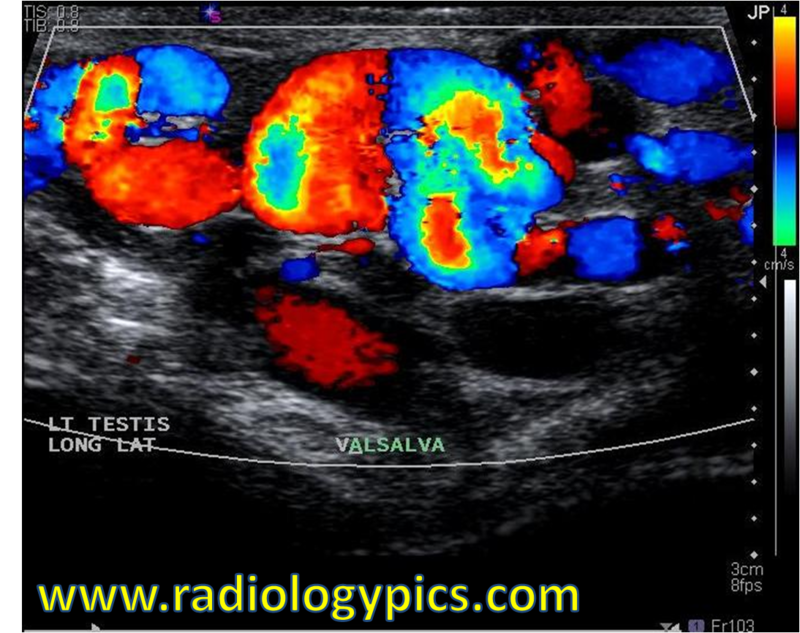 Doppler color ultrasound through the left scrotum with valsalva. What is your diagnosis? What is your diagnosis for this pediatric patient with a lump in his left scrotum? Comment and share below!